Corner sofas; there’s nothing like coming home from a long week, and being able to sink right into a comfy corner sofa with a glass of wine in one hand and the remote in the other. 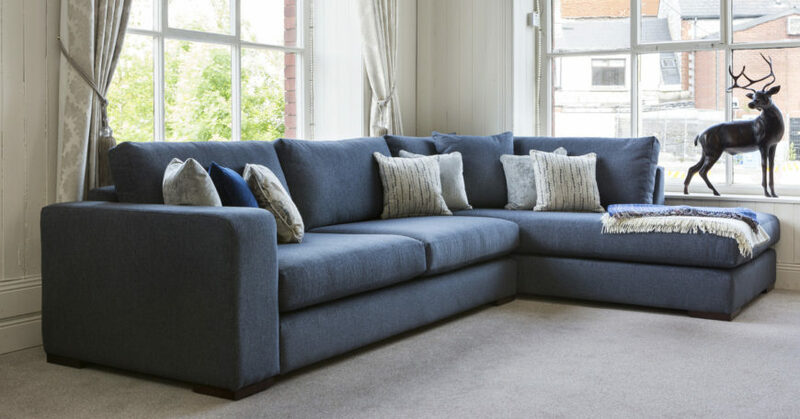 Corner sofas or L shaped sofas are rapidly growing in popularity, competing with the best three or two seater sofas. Shopping for a new corner sofa can be overwhelming, but it doesn’t have to be. 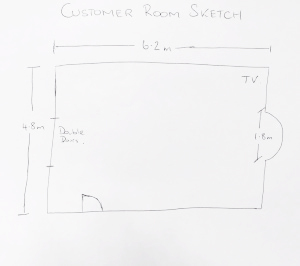 Buying a corner sofa is a big investment, so always be sure to measure and do your homework. 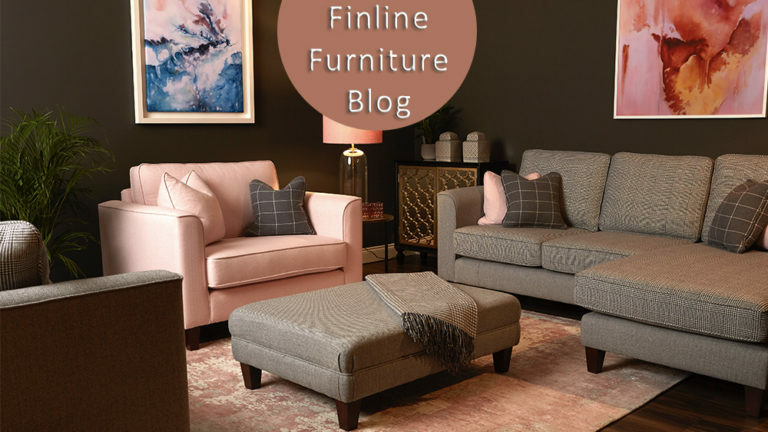 There are many things to think about before you purchase your new furniture, here at Finline we have put together a little guide to help you choose the perfect corner sofa for your home. Are you after a luxurious corner sofa or something a bit more practical? Do you have any pets in the house? How many people will be using the sofa? Once you have answered all the above, it’s time to start browsing at one of our showrooms, in Dublin, Cork, Galway and Laois. Finline offer a wide range of styles and sizes to choose from, but take into account the size of your home. 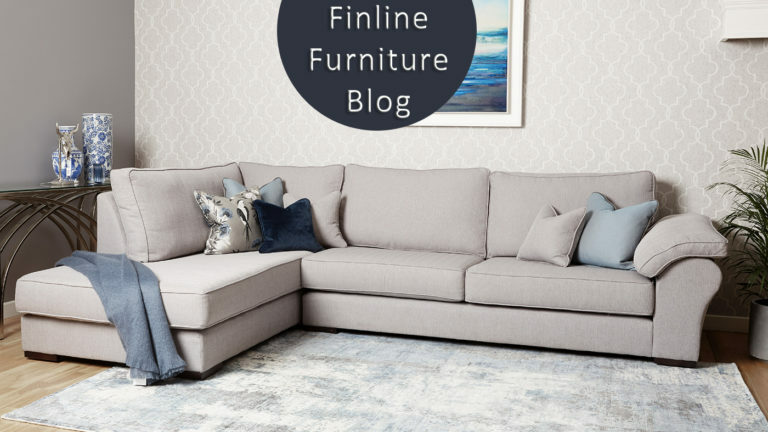 Corner sofas are great for a larger living space – obliviously they can fit into a corner with ease and free up space – they can also form a divide in an open area plan. You have decided to treat yourself and buy a new sofa. You have started to look and all the numerous styles, so now it’s time to measure. Measure the area you are going to have your sofa, taking into account any doors and windows, the furniture will be passing through. Be sure to measure a couple of times. Right Hand or Left Hand Facing? 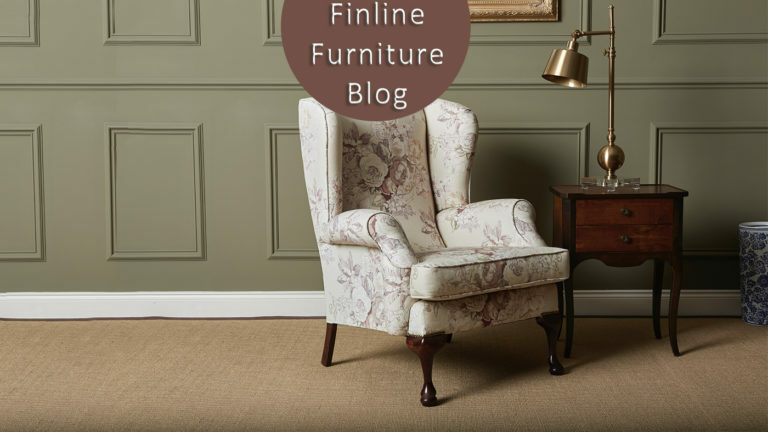 Looking though our website, you may have noticed next to some of our sofas, RHF or LHF. This simple means Right Hand Facing or Left Hand Facing, it shows you where the longest part of the corner sofa will be. Your corner sofa will be a focal point in you living area, its good to buy furniture that’s fits around the décor of you room or add some accessories to tie into a colour scheme. Opting for those neutral colors like beige & grey, then adding a splash of a bold colour with the scatter cushions can create a cozy feel. If you’re after something a bit more modern, try darker colors, like strong navy blues, blacks or deep greys. A great advantage of a corner sofa is that it sits quite comfortably and discretely, into a corner freeing up some valuable real estate in the living area. From a decoration point of view, a corner sofa will not take over the room like a sofa of the same size. You can think of a corner sofa as two, as a one and a half sofa, it’s like an expansion of a sofa. A large sofa, seats three people while a corner sofa can seat a lot more. It’s ideal for bigger families or if you entertain people frequently. Nothing is better then natural light pouring into you living room. The difficulty with large sofas in the middle of the living room is that it can block this light coming in to the room. Placed flawlessly into that ideal corner, still providing that bit of comfort with plenty of seating, a corner sofa gives you all frill but none of its shade.